Tracy's Notebook of Style: Target 40% off select Home items + Weekend Sales! 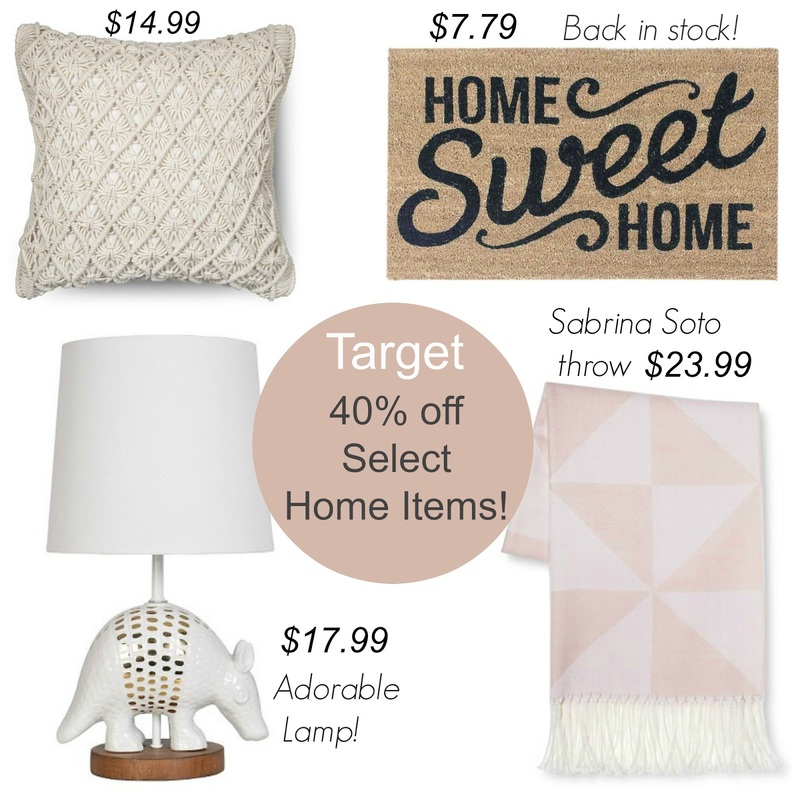 Target 40% off select Home items + Weekend Sales! Happy Friday! I've been addicted to shopping for home items lately and today you can score 40% off select home decor at Target online. These are current home decor trends you can get for a steal on sale today only. Really excited to see the doormat back in stock, yay! Those lamps are too cute! Off to check out Kohls online...love that 30% off code! Target BOGO Shoes + Jeans 40% off!